Android mobile gamers will finally get to play the popular game, if they have capable devices. For months, Android gamers have been listening to their counterparts talk about "Fortnite." However, those Android gamers have not been able to participate in the fun, without customizing their Android device to play it. Recently, it was announced that the popular multiplayer shooter game will officially be available on the Android mobile platform. The requirements for Android devices have also been revealed so that gamers will know what they need to handle the game. The XDA Developers website reported on Saturday (Aug.
4) that a data miner was able to extract key information from some new "Fortnite" Application Programming Interface (API) code. In plain English, they were able to look at parts of the code that allows gamers to receive specific promotions in the game. Within that code, there was also data which gave an indication of the Android system requirements. A Twitter account called Fortnite: Battle Royale Leaks recently posted a tweet showing off the Android requirements. They'll include having a device that is 64-bit Android, with Lollipop 5.0 or higher. In addition, a device will need three gigabytes of RAM on board to handle the game. That should allow plenty of newer Android devices from the likes of Google, Samsung, and LG to handle the game. However, it may rule out some of the older devices from those manufacturers. The Android device will also need to run Adreno 530 or higher, Mali-G71 MP20, Mali-G72 MP12 in order for someone to play the game on it. Already, many people are going to that Twitter post to ask if their device might be able to handle the game. It appears that one user asked if the Samsung Galaxy S6 will be able to run the game, with another Twitter user replying "Yes but it'll probably struggle a bit." In an interesting bit of news this past week, it was revealed that the "Fortnite" Android game wouldn't be available on the Google Play Store. Instead, the game makers, Epic Games, are opting to make it available on their own website. Variety reported that the move comes as the game company doesn't want to fork over a 30 percent cut of what the game makes to Google. That move could also make the popularity of the Android version of the game tougher to track. There are websites able to track the analytics which show the popularity of specific titles on iTunes App Store and Google Play Store. However, the Epic Games company may release their own stats to show how many downloads, installs, and extras are purchased through their popular game. The "Fortnite: Battle Royale" game has been one many video game console owners have enjoyed. 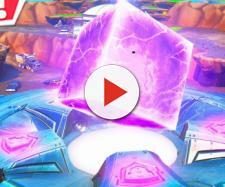 The "Fortnite" Season 5 version was released in July. Sony PlayStation 4 and Microsoft Xbox One gamers have been able to play it on the big screen. PC gamers have also been enjoying the game. In addition, "Fortnite" has been available for months on capable Apple iOS devices. It still maintains a spot among top-grossing apps on the App Store today. As of this report, Apple's website shows that "Fortnite" is the No. 2 in terms of their apps. Only the Netflix video streaming service ranks above it. Of these apps, "Fortnite" doesn't require any sort of paid monthly membership to play, while Netflix does. Instead, "Fortnite" relies on in-game purchases. Players can purchase a variety of upgrades to help improve their experience in the game including new weapons, jetpacks, or exclusive skins to wear as costumes when competing. This model has worked well for other game companies including Niantic, the creators of "Pokemon GO." That game enjoyed popularity on the App Store for a while until "Fortnite" came along to knock it and other games down. It should be interesting to see how Epic Games does with the Android game on their own website in comparison to being on a platform like Google Play Store. For now, gamers will be doublechecking their mobile devices to make sure they'll be able to join in the fun the game provides.